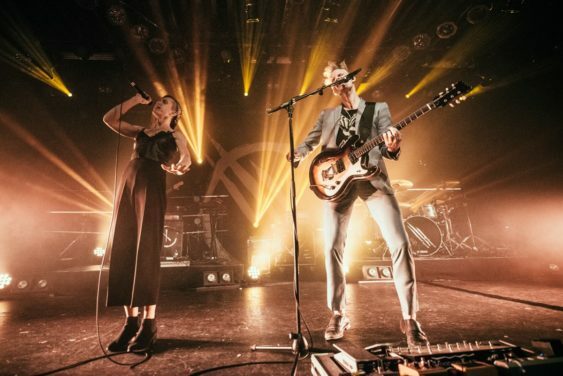 The Juno and MMVA nominated Vancouver- based band, comprised of Ryan Guldemond, Molly Guldemond, Jasmin Parkin, Ali Siadat and Mike Young has had a whirlwind decade; garnering six top 10 singles on the alt-rock Canadian charts and 41 million streams and counting on digital platforms. Their latest album, 2017’s No Culture, produced “The Drugs” a #1 single on the Alt Rock charts in Canada for three consecutive weeks. The band has also found success on the road, most recent tours include sold-out headline dates across North America, selling out the historic Massey Hall, and a record-breaking five consecutive sold-out shows at the Commodore Ballroom in Vancouver. Sorry! The contest for Indie Rockers: Mother Mother | Great American Music Hall has ended.